Admedo is the only fully transparent Programmatic Marketing Platform on the market with all the tools in one user interface at one cost. Our unified yet flexible marketing stack means you have everything from DSP and Smart Audience Management capabilities to seamless drag and drop creative management and inbuilt geo-contextual targeting. The elegant and powerful platform snaps together around your business at a fraction of the market rate cost. The Admedo solution can be used on a self-serve or fully managed service model. 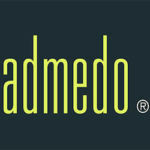 "I was impressed by the excellent customer service the Admedo team has provided us. Their ability to adapt to the needs of our business coupled with their dedication have been key in delivering our programmatic strategy."